Casey Turton. He’s the owner. Casey’s career in computer graphics began in 1981. Before that, he worked as a journalist for a medium-size Midwest daily newspaper. His credentials include a journalism degree and supplemental training in corporate communications. He served on the Lorain (OH) Community College Journalism Advisory Board, where he also taught newswriting, reporting and newspaper layout/design. His career with the General Electric Information Systems Divsion put him in the forefront of computer graphics with the Genigraphics Division. This technology laid the groundwork for Microsoft’s Power Point software, 3D animation and film output. He got involved with the internet in 1991 when a customer approached him, asking for a way to increase their sales market without huge costs. Casey researched the web, learned about search engines (not many at that time!) and began his career as an web design/internet specialist. To be honest, the first web site was not much to look at by today’s standards, but it did the job! Casey enhanced his software consulting skills working on database development projects for corporate clients. 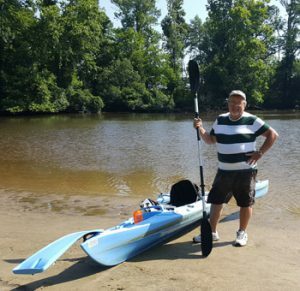 Kayaking along the Tar River in Eastern North Carolina. Favorite sport. He believes in giving back to the community. 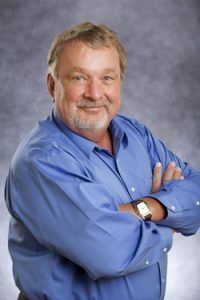 He has volunteered on numerous civic and youth organizations for more than 20 years and continues that involvement here in Pitt County as Past President and one of the founding members, of the Business Networking East. He is also past president of his church council and served as Hockey Director and coach for the East Carolina Hockey Association’s Jr. Pirates Hockey Association. He is also editor for the Pitt County Women’s Journal and Carolina Men magazines, a family-venture owned by East Carolina Publishing Co.